On October 1, Russian President Dmitry Medvedev tweeted, “Received the Civic Chamber’s appeal over the Pavlov Experimental Station. Gave the instruction for the issue to be scrutinised.” The president was responding to a Twitter campaign to save the world’s oldest seed bank. 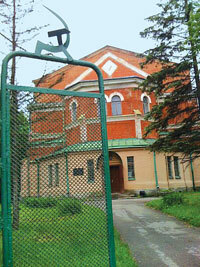 The fate of Pavlov Experimental Station appeared to be sealed when a court ruled in favour of turning the Pavlovsk research station and its surrounding farmland into private housing. The Twitter campaign was spearheaded by International non-profit Crop Diversity Trust and the UK daily The Guardian. The ongoing heat wave is also thought to have put pressure on the government. Russian agricultural minister Elena Borisovna Skrynnik had fought for saving the station crucial for food security. Much of the Russian wheat harvest has been destroyed in last month’s heat wave, which has been linked to climate change.